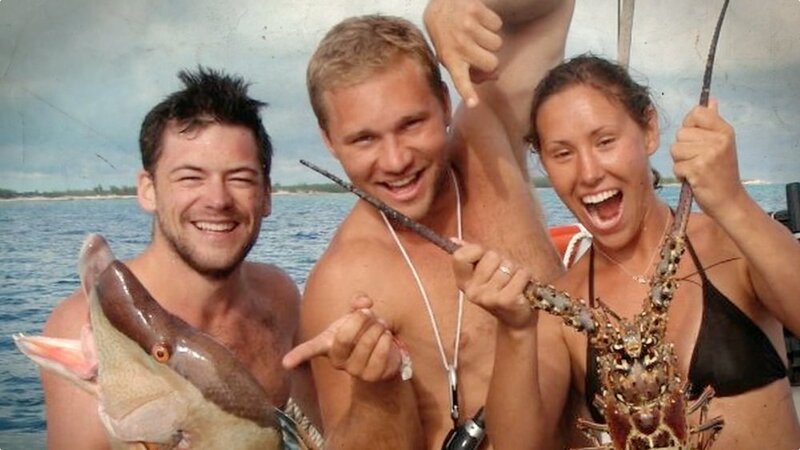 This extraordinary tale of a young Chicago stock-trader turned ocean-adventurer focuses primarily on a three year sailing trip around the world. It’s a life-affirming feature-length documentary, an emotional mix of joy and adventure, filled with incredible images of the people and places of the world. 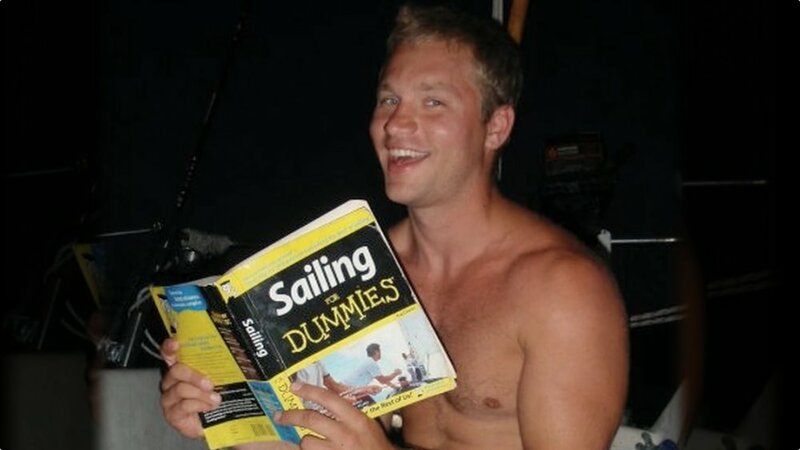 Equipped with a Sailing For Dummies book but no actual sailing experience, Alex Rust buys a cheap sailboat and sets off with a ragtag group of friends from Fort Lauderdale to the Bahamas. The book he barely looks at until he needs it — midway through his first sail, he instructs his buddy to find the book and figure out how to turn the boat. 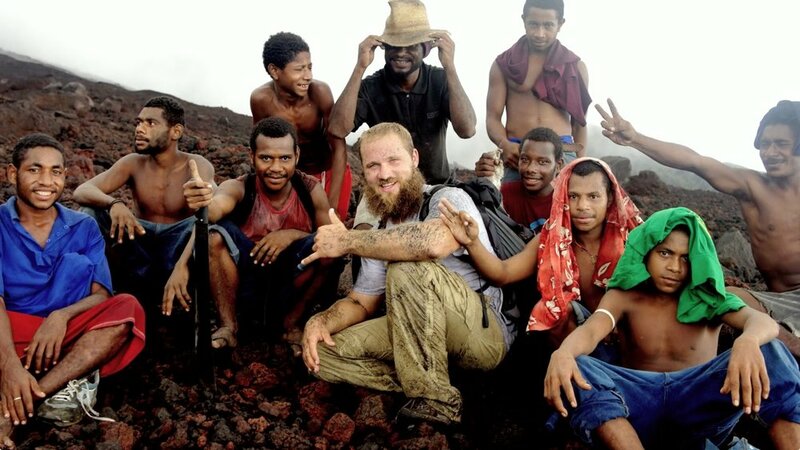 From these humble beginnings, Rust slowly learns the ropes and sets his sights on bigger and bigger trips, culminating in an around-the-world jaunt with a rotating crew dodging death at every turn. The story is told with interviews from Alex’s family and friends, and Rust himself. We get to know him quickly, and we watch as a family member would, hoping for the best, but fearing the worst. The trip itself is captured with various handi-cams and the film’s power lies largely in the amazing adventures — partying with remote tribes, jumping off rocky cliffs, feeding sharks. Rust is fascinating to watch at all times — he’s a throwback and a trailblazer, and it’s impossible not to get swept up in his zest for life. Chasing Bubbles is a worthy tribute to the man, to the possibilities and danger and adventure hiding under the surface of a typical life. (85 minutes). Directed by Directed by Topher Cochrane with Alex Rust. Edited by Chris James Thompson and Andrew Swant. Produced by Topher Cochrane and Laurie Adrianopoli. Produced by Ross Gerber.